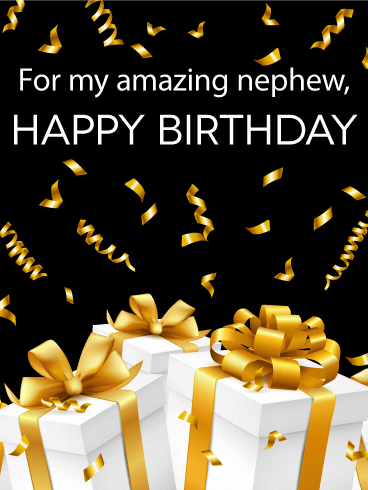 Bring on the confetti and wish your nephew an amazing birthday! This classy birthday card is simple but festive. 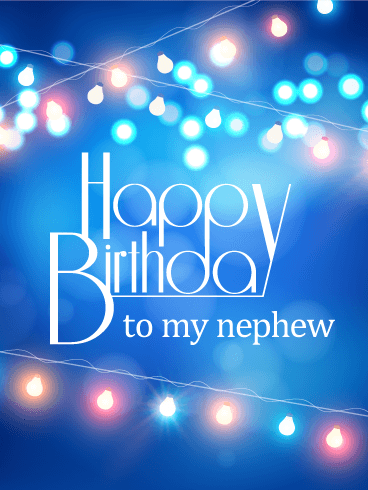 Celebrate your nephew's birthday and send him a sincere birthday greeting card straight to his inbox. There's no fuss here-just good plain birthday fun and a thoughtful birthday message. The white presents wrapped up in big gold ribbons and gold bows offer just a hint of sophistication without losing any of the birthday fun!